Older homes have a lot of charm, character, and gorgeous curb appeal. But if you choose not to upgrade your windows, you may be sacrificing your home’s energy efficiency. Doors and windows can account for about 20% of the heat loss in your home. So replacing them with modern energy saving windows is highly recommended. This way, you can save on energy costs whilst maintaining charm and character. One of the first things you must consider when choosing replacement windows is style. Aesthetics still figures prominently for homeowners who want to ensure their place maintains its old-world charm. Your home’s architecture is a huge factor. For instance, colonial homes often feature double-hung windows, so look for contoured ones or flat grids. You must also pick the right colour. Prior to working with a window contractor, you need to make sure that the company offers a wide selection of interior and exterior window hues. The use of wood grains is becoming popular because you can enjoy high energy savings, comfort and have a realistic wooden window appearance. Customizing the colour of your window is also possible. Most reputable window manufacturers today can create windows with your desired hue. After having an idea of the stylistic and aesthetic features you want for your new windows, performance is another important consideration. When compared to bargain basement windows that you can easily get from home improvement stores, energy-efficient windows perform much better. Plenty of original windows were built with just one pane of glass, which don’t offer much in terms of energy savings. 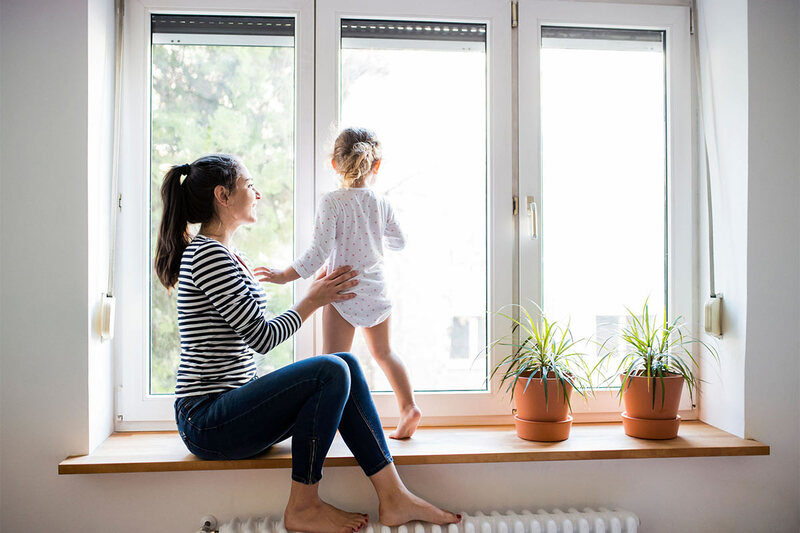 You need to opt for windows with weather-stripping, a built-in airlock, and barriers that are necessary to prevent air from forcing its way in. These design features will help keep air from pushing in between the sash-meeting rails and perimeter. You have to choose windows with two or three panes of glass to maximize energy savings in your home which will, in turn, significantly lower your monthly energy bills. Most energy-efficient windows contain energy-saving gases such as xenon, krypton or argon. These gases are used for filling gaps between the glasses which, in turn, helps ensure your home’s thermal efficiency all year-round. Your home can be kept at a constant and comfortable indoor temperature. Even the most energy-efficient and expensive window units will not perform effectively when they are not properly installed. So you should not overlook the importance of professional installation. Stay away from window installers who use a lot of sealants and expanding foams to get your windows to fit well. These materials are not waterproof and can even lead to several problems later on. Pre-installation waterproofing is highly recommended. If you happen to be located in a windy area, casement windows are a popular choice. These units have a crank that will swing the window outward to open. When the wind blows in towards your home, it seals off even more tightly. However, maintenance is required on the seals and hinges to guarantee continued efficiency and stability. Coming in different shapes and sizes, picture windows do not open, but this does not mean they are not efficient. Gas-filled interiors and glass choice are crucial when choosing these larger units. These traditional window units are common in pre-war buildings. With double-hung windows, you need to slide the bottom up to open the unit. These are also efficient choices but are not the best option in places with extreme climates due to the possibility of air intrusion between the sliders. Upgrading your home with high-quality and energy-efficient windows will allow you to experience more comfort and lower your energy bills. Moreover, you will have less maintenance to worry about. Unlike older windows which require a lot of upkeep, modern windows are low on maintenance, and won’t peel, warp or crack over time. When you are shopping for new windows to boost your home’s aesthetics and performance, consider the pattern, colour and energy-efficient features. Most importantly, get your windows from reputable manufacturers and have them professionally installed.